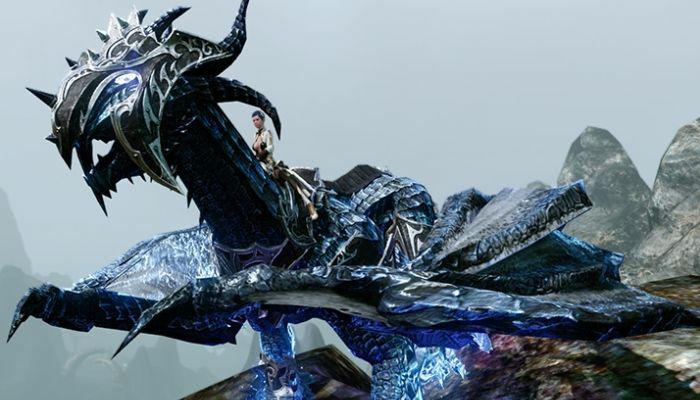 Way back in 2010, we wrote a List of the Top 5 PVP MMOs. Well, seven years on (almost eight), how does it hold up? Read on to find out. With hundreds and maybe even thousands of MMOs on the market, it’s extremely difficult to be competitive and stay profitable. With the move towards free-to-play structures, the genre has seen a revival as of late for many games that would have otherwise been shut down. A WAR Worth Fighting For? The news that Warhammer Online: Age of Recknoning is closing in December has come as a shock to some. In today's Devil's Advocate, we peer into the crystal ball to examine things that just might have prevented this sad happening. See what we think before leaving your own ideas in the comments. Posted on 09/20/2013 by Victor Barreiro Jr.
Warhammer Online: Age of Reckoning is set to shut its doors this December. Join us today as we reflect on the game's tumultuous history and unrealized potential. Last week, Genese Davis profiled books that are about gamers and MMOs. In this week's column, she sheds the light on companion novels to some of our favorite MMOs. See what made her list and see how many you've read. Did she miss your favorite? Let us know in the comments. Last week, Wayback Wednesday revisited Warhammer Online: Age of Reckoning with the Mythic crew including Keaven Freeman, Kevin Calvert, and Tim Chappell. Check out their epic adventures in WAR. WAAAGGGHHH! Warhammer Online has been maturing nicely over the years since its release. We took the opportunity to find out what's been going on and what the future holds for Mythic's game. We spoke with Lead Designer Keaven Freeman to find out. Read on and then head to the comments to chat it up. A lot of hyped MMOs have been released in the past year with a few more yet to come. Yet some, if not all, of them have been huge disappointments to some of their fans. In an increasingly crowded market, what is there to be excited about asks our own Scary Booster. See what Scary's got to say and then shine a ray of hope in the comments. One of the things that inevitably happens when any new MMO is released is an endless round of comparisons to "that game", you know, The Giant (which shall remain nameless). Our own Pokket has a few thoughts to share about that particular subject so keep reading! Add your thoughts to the mix in the comments. Orcs seem to infest every RPG, or at least every fantasy RPG, that we play. In today's List, we take a look at the worst of the worst in Orc-land. Read on and see what you think! 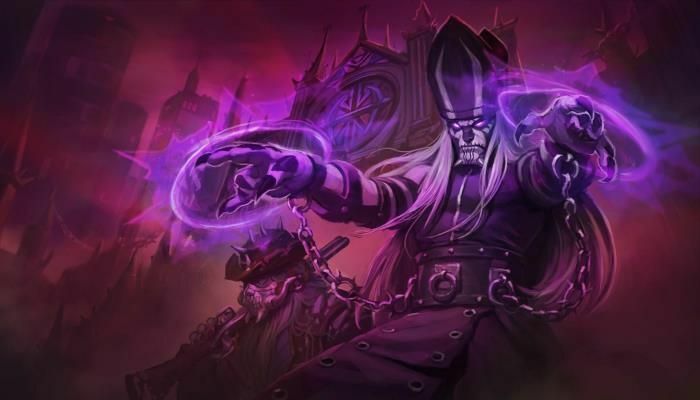 MMORPG.com Managing Editor Jon Wood writes this analysis of the new PQs introduced as a part of Warhammer Online's first Live Event, The Witching Night. MMORPG.com Warhammer Online Correspondent Bao Huynh writes this editorial discussing his experiences with the first four camps on the Blighted Isle in Mythic Entertainment's Warhammer Online. Garrett Fuller responds to the unveiling of Warhammer Online and the comparison to WoW. During PAX, MMORPG.com's Carolyn Koh had the opportunity to check out the just-announced Warhammer Online: Wrath of Heroes, a new MOBA based on the Warhammer IP. 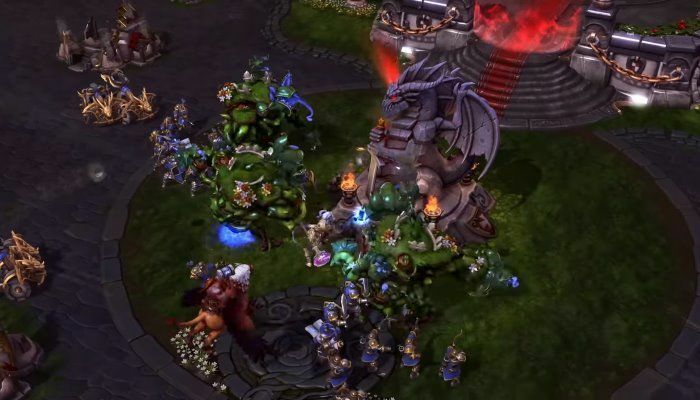 Carolyn's got the full report on Wrath of Heroes that you won't want to miss. Read on! At Baltimore Games Day, Mythic showed off the Land of the Dead, an upcoming addition to Warhammer Online. MMORPG.com was there to get some hands on time. Land of the Dead is getting all the press, but we also have a short preview of some other changes fans can expect in Patch 1.3. WAR, What is it Good For? Is It Worth Your Money? MMORPG.com Managing Editor Jon Wood has been playing the head start for Mythic's Warhammer Online and today offers his opinions of the game. MMORPG.com's Jon Wood has been playing the Closed Beta for Mythic Entertainment's Warhammer Online and today shares his impressions of the early game from the perspective of the Chaos and Empire realms. This past weekend. MMORPG.com's Joe Iuliani and Anthony Love attended the Games Workshop Games Day in Baltimore, MD. In this article, Anthony gives us his account of a hands-on preview of Warhammer Online: Age of Reckoning. Joe Iuliani was at Comic Con last week. Today, he brings us a report on his hands-on experience with Warhammer Online. Garrett Fuller attended a press event in Fairfax Virginia and learned a great deal about EA Mythic's Warhammer Online: Age of Reckoning. Carolyn played WAR and reports back. Garrett tries to see what's new with Mythic. In perhaps the most extensive preview we've ever filed, here is our first look at Warhammer: Age of Reckoning. With Warhammer Online well-established in the MMOniverse, we felt now would be a great opportunity to talk with the team about all things WAR and what players can look forward to in the coming months. Check out our exclusive interview with Producer James Casey before heading to the comments section to add your thoughts. GDC Online is considered to be a "user friendly" gaming convention, one that many MMO players look to for new information about the games they love. MMORPG.com Industry Relations Manager Garrett Fuller had the opportunity to sit down for a chat with Eugene Evans of Bioware Mythic and Rich Vogel from Bioware to talk about the course the conference is taking and the trends in the industry that keeps growing. Read on! This week on The Way Back Machine, MMORPG.com's own writer Bill Murphy takes a look back on Managing Editor Jon Wood's initial impressions of Warhammer Online: Age of Reckoning from August 20th, 2008. MMORPG.com's Michael Bitton recently sat down with Warhammer Online Producer Carrie Gouskos to talk about the game's upcoming 1.3.5 patch which changes endgame city sieges and a number of other game elements. MMORPG.com's Garrett Fuller asks a few questions of the team at Mythic Entertainment of the most recent update to their MMORPG Warhammer Online. MMORPG.com's Garrett Fuller spoke with Mythic's Josh Drescher and Jeff Skalski about patch 1.3.2, how it went and what we can expect in the future of WAR. MMORPG.com's Jon Wood recently had a chance to ask Warhammer's Jeff Skalski a few questions about the recent 1.3.2 update and what it means for the game. MMORPG.com's Garrett Fuller had the opportunity to speak with EA Mythic's Jeff Hickman after his presentation at AGDC. In this interview, Hickman discusses the future of MMOs, mistakes with WAR and hints at a possible rejuvenation of Dark Age of Camelot. 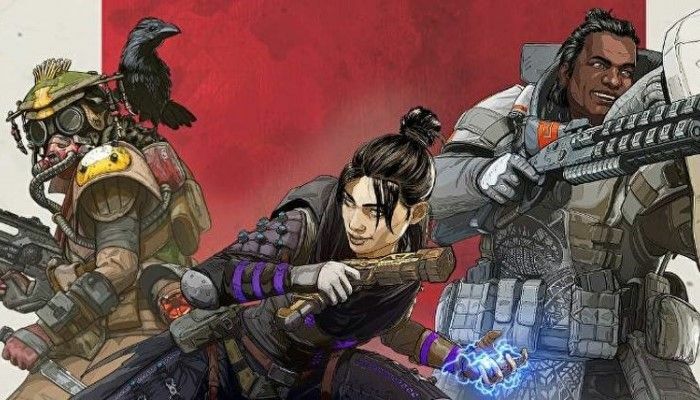 MMORPG.com's Carolyn Koh spoke recently with WAR producer Destin Bales about the current status of the game and what Mythic is working for for the future. MMORPG.com's Garrett Fuller had the opportunity to send along seven questions to Wrhammer Online's Jeff Skalski to discuss the game's progress as it nears its one year anniversary. MMORPG.com Managing Editor Jon Wood caught up with Warhammer Online developers Jeff Skalski and Gabe Amantangelo to talk a little bit about what The Land of the Dead update has to offer as well as future plans for the game. Career Balance is one of those aspects of Warhammer Online that people just can't seem to stop talking about. After every patch it seems like someone is complaining about their career's balance. At GDC, MMORPG.com Managing Editor Jon Wood caught up with Paul Barnett to talk about just that. MMORPG Managing Editor Jon Wood interviews Warhammer Online Creative Director Paul Barnett while attending GDC where he talks about the recently added Choppa and Slayer careers, and goes on tangents about the Land of the Dead, and flatulence powered dirigibles. MMORPG Managing Editor Jon Wood interviews Warhammer Online Creative Director Paul Barnett where he talks about the lecture he gave at GDC, covering a range of topics including golden ages of gaming, breeding creativity, the challenges of designing games both large and small, and the bright and unknown future of game design. MMORPG.com Managing Editor Jon Wood sat down with Mythic's Jeff Hickman to talk about a number of issues including: Rally Call, Career Balance, the game's 10-Day trial and more. MMORPG.com’s Hasani Davis Sits down with Adam Gershowitz to talk about Mythic Entertainment's slayer, Choppa and the Call to Arms event bringing them into the game. Mythic Entertainment announced today that as a part of their live expansion, Call to Arms, the two remaining careers will be added to the game, the Orc Choppa and the Dwarf Slayer. Yesterday, MMORPG.com's Jon Wood spoke with Mythic's Jeff Hickman about the new careers. MMORPG.com Managing Editor Jon Wood had the chance recently to sit down and speak with the folks from Mythic Entertainment about yesterday's update 1.1 and specifically about the changes that were made to the Open RvR system. In this interview, the team discusses the changes, ORvR vs. scenarios, their intentions for feature balance and more. 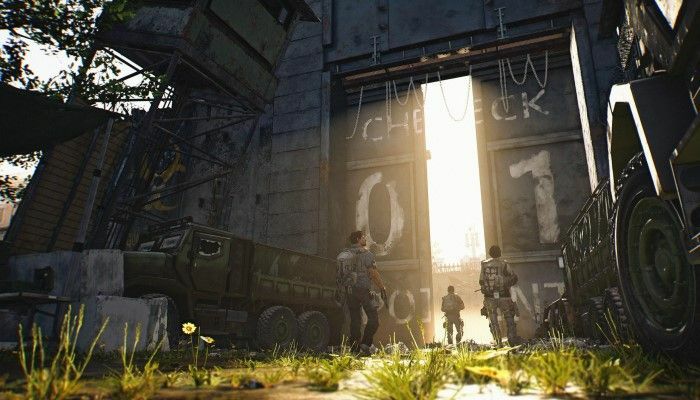 MMORPG.com Managing Editor Jon Wood sat down last week with Mythic Entertainment's Jeff Hickman to talk a little bit more about WAR. In this second part of the interview, Jeff and Jon talk about communication in-game, scenarios and more. In the first part of our post-launch interview with Mythic Entertainment's Jeff Hickman, MMORPG.com Managing Editor Jon Wood asks a couple of questions about the four classes that were cut from the game pre-launch, when we can expect to see them in-game, whether or not they are affecting game balance and more. MMORPG.com Managing Editor Jon Wood had the opportunity to speak with Mythic Entertainment boss Mark Jacobs about the Warhammer IP, Marketing and EA. MMORPG.com Managing Editor Jon Wood had the opportunity to speak with Mythic Entertainment boss Mark Jacobs about GOA, forums and Mythic accountability. Recently, MMORPG.com Managing Editor Jon Wood had the opportunity to sit down in separate interviews with Jeff Hickman, Josh Drescher and Mark Jacobs to talk about the launch of Warhammer Online, the game that they have both been working on diligently for the last three years. In today's Part Two Josh Drescher answers the questions. Recently, MMORPG.com Managing Editor Jon Wood had the opportunity to sit down in separate interviews with Jeff Hickman, Josh Drescher and Mark Jacobs to talk about the launch of Warhammer Online, the game that they have both been working on diligently for the last three years. In today's Part One Jeff Hickman answers the questions. MMORPG.com's Carolyn Koh caught up with a very tired team from Mythic Entertainment's Warhammer Online as they completed the last of their many, many off-the-wall presentations. In this interview, the guys talk about launch and sleep and reveal some interesting statistics from the game. While attending Gen Con Indy, Community Manager Richard Cox had the opportunity to sit down with Robert Mull, Community Relations Director for Mythic Entertainment. Their topic of conversation related to the importance of community to Warhammer Online and all MMOs. MMORPG.com's Richard Cox interviews Warhammer Online's Community Relations Director Robert Mull about all thing community relating to Warhammer Online. Warhammer Online's Jeff Skalski spoke recently with MMORPG.com Managing Editor Jon Wood about the cities system in the upcoming MMORPG, including the recent decision to cut four capital cities from launch. In Part Two of his interview with Adam Gershowitz from EA Mythic on the subject of career design, Managing Editor Jon Wood discusses the issues of balance and how the company plans to keep 24 different careers running smoothly an faily against one another. Warhammer Online will employ one of the most interesting class systems in any MMORPG to date when they debut in the Fall. In part one of this two-part series, Jon Wood speaks to Mythic's Adam Gershowitz about the three ideas that formed the backbone of the careers design. Our Warhammer Class Overview series continues this week as MMORPG.com Managing Editor Jon Wood speaks with WAR Combat and Careers Strike Team Lead about the High Elf Swordmaster class. On Wednesday evening, MMORPG.com Managing Editor Jon Wood attended a press conference for Ea Mythic's Warhammer Online: Age of Reckoning. Today, he recaps the information for us in this article. Josh, Jeff and Paul... What Do You Do? At this year's New York Comic Con, Managing Editor Jon Wood had the chance to talk with Josh Drescher, Jeff Hickman and Paul Barnett about the perception held by some that their roles at EA Mythic are purely PR. The three talk openly about their roles at the company beyond what we see at shows, in video dev dairies and elsewhere. While in Virginia, Jon Wood had the opportunity to see a presentation by Item Designer Justin Webb where he told us a little bit about the game's trophy system and some other customization tidbits. After yesterday's announcement that EA Mythic would be delaying the launch of their upcoming MMORPG Warhammer Online: Age of Reckoning, MMORPG.com Managing Editor Jon Wood spoke with VP Mark Jacobs about the move. Recently, Managing Editor Jon Wood had the opportunity to talk to two of the developers from EA Mythic's upcoming MMORPG, Warhammer Online: Age of Reckoning, about the Disciple of Khaine class. In the November Newsletter from Warhammer Online: Age of Reckoning, the developers released information on the Archmage, a High Elf class. Coincidentally, the December issue of the WAR newsletter is available today with new class info. Recently, Staff Writer Carolyn Koh had the opportunity to speak with Brian Wheeler, a Designer on EA Mythic's Warhammer Online: Age of Reckoning. The questions this time revolve around the overarching war taking place in the game. Koh also presents an example of how the city siege component of the game works. Today was a day of announcements for Electronic Arts, the game publishing giant that is currently developing Warhammer Online: Age of Reckoning at the EA Mythic studios. First, it was announced that the company would be going through re-structuring that would put some jobs and studios at risk. Later, during their earnings call, it was announced that EA Mythic and Warhammer Online would be safe from such changes, and that the release date for the game would be pushed back from Q1 2008 to Q2 2008 to allow for more development and "polish" time. Our Dev Chat with the Warhammer Online Dev Team was a resounding success on October 9th with almost 500 people in attendance. Here's the transcript of what went down. A while back, MMORPG.com ran the first part of an interview with Mark Davis and Steve Perlins from EA Mythic. Yesterday, MMORPG.com presented you with an overview of your first few hours as a Dwarf. Today, we bring you the conclusion of the interview where Mark brings us up to speed on the first few starting hours in the life of a Greenskin. A while back, MMORPG.com ran the first part of an interview with Mark Davis and Steve Perlins from EA Mythic. Today, in the second of what has become a three-part series, Mark tells us about the starting area and quests for the Dwarfs in Warhammer Online. Warning, if you don't want to know what happens in your first hours of Dwarf play, you may not want to read this article. Recently, Managing Editor Jon Wood had the opportunity to sit down with Mark Davis (Deputy Content Director) and Steve Perkins (Director) to talk about Warhammer Online: Age of Reckoning. In this first part of a two-part interview, Wood talks to Davis and Perkins about the WAR IP, beta, innovations and more. Joe Iuliani and Anthony Love attended the recent Games Day for Games Workshop's Warhammer. Of course, EA Mythic had a presence, and Joe and Anthony were able to catch up with that team's dynamic duo Jeff Hickman and Paul Barnett for an interview. Enjoy part two! Joe Iuliani and Anthony Love attended the recent Games Day for Games Workshop's Warhammer. Of course, EA Mythic had a presence, and Joe and Anythony were able to catch up with that team's dynamic duo Jeff Hickman and Paul Barnett for an interview. Today, we present Part One, come back tomorrow to read part two! News Editor Garrett Fuller caught up with Erik Mogensen and Jon Gillard from Games Workshop to talk about EA Mythic's Warhammer Online as well as the newly announced Warhammer 40K MMORPG. News Editor Garrett Fuller had the chance to sit down for a one on one with Erik Morgensen from Games Workshop to talk about Warhammer Online from the perspective of the licenser of the Warhammer IP. Garrett Fuller recently attended a telephone Press Conference with EA Mythic's Paul Barnett (Producer and Jeff Hickman (Design Manager). Paul and Jeff are both working on Mythic's upcoming MMORPG, Warhammer Online: Age of Reckoning. The Director of Community Relations for EA Mythic sits down to answer our questions on the most anticipated game on our list. Matt Firor, Formerly of Mythic Ent. Matt Firor recently left Mythic Entertainment after years as the Executive Producer. Find out why and what he is up to now. In advance of tomorrow's Game/On Interview, we give you a sneak peak at what Mark Jacobs had to say. Erik Mogensen of GamesWorkshop answers our questions. This new trailer brings the Age of Reckoning to life in stunning detail and showcases the ongoing conflict between the armies of Order and Destruction, the catalyst for WAR's groundbreaking Realm vs. Realm gameplay. The folks from Mythic Entertainment have provided us with these three new screenshots featuring some RvR action. The folks from EA Mythic have provided us with sixteen new pieces of concept art. Today, we present the second eight in Part Two of a two part feature. The folks from EA Mythic have provided us with sixteen new pieces of concept art. Today, we present the first eight in Part One of a two part feature. The team at EA Mythic has provided us with these two screenshots of High Elves. The first is the Shadow Warrior, master of the bow, while the other is the Archmage, a spell slinger. EA Mythic has released these four new screenshots of Inevitable City, the capital for Chaos int he upcoming Warhammer Online: Age of Reckoning. As a part of our recent coverage of Warhammer Online: Age of Reckoning, the folks at EA Mythic have provided us with these two exclusive screenshots from the upcoming MMORPG. The folks at EA Mythic were kind enough to share these eleven new screenshots with those of us who took the recent trip to visit their studio in Fairfax, Virginia. EA Mythic has released these sample pages first from the art book and the other from the graphic novel. Both items were announced to be available with the Collector's Edition. The folks from EA Mythic have released the concept art that was used in their last newsletter. Today, we present it for your viewing pleasure. EA mythic has released over 30 concept art images depicting weapons, shields, architecture, terrain, and characters from Warhammer Online Age of Reckoning. MMORPG.com Managing Editor Jon Wood is in Leipzig for the Games Convention. While there, he had a chance to sit down with EA Mythic's dynamic duo, Jeff Hickman and Paul Barnett. The pair gave us their presentation on Elves in Warhammer Online. We uncover two more peeks at the inside of WAR. Four images to go with our GW Q&A. To go along with the flood of images, we have four exclusives on MMORPG.com. The folks at Mythic recently posted an introduction to role playing which gives a few pieces of advice to players who may not have tried the RP aspect of an MMORPG before. Mythic Entertainment's Mark Jacobs has posted an informative overview of upcoming improvements to Warhammer Online's Open RvR system with the addition of an RvR Influence system, changes to the map system, new RvR incentives for players and guilds, and more. In his latest article, MMORPG.com Industry Relations Manager Garrett Fuller takes a look at the Skaven playable PvP race. The Skaven are soon to be released in an update for Warhammer Online. Garrett looks at why the team chose the Skaven to include and what it means for PvP overall. Check it out then let us know your thoughts. With the announcement earlier this week that Champions Online is headed to free to play, MMORPG.com's Drew Wood has put together a quiz to test your knowledge of some of the more recently 'converted' F2Ps on the market. See how you do and then give us a report on the forums! This past weekend, MMORPG.com's Garrett Fuller had the opportunity to head to Games Day in Baltimore, Maryland. During his time at the event, Garrett checked out some of the stuff Games Workshop has in store for fans. Included in the visit was a look at the next Warhammer Online update and the Warhammer 40,000: Dark Millenium Online trailer. MMORPG.com's Bill Murphy writes this look at the unlimited trial currently offered by Mythic's Warhammer Online and whether or not it is enough to bring former players back to the game. MMORPG.com's Jon wood has re-entered the world of Warhammer Online to bring us his initial thoughts on the changes that have been made since he last left the game, with special focus on the recent 1.3.2 update. Mythic Entertainment has kicked off a unique contest with the MMORPG.com community that encourages them to translate a cartouche to win a free, in-game item. Mythic Entertainment has released a super-sized batch of patch notes for the upcoming 1.2 update. MMORPG.com Managing Editor Jon Wood takes a look at some of the changes and offers some opinions. MMORPG.com Managing Editor Jon Wood has been looking at recent rumors of layoffs at Mythic Entertainment and recent forum responses from Mythic boss Mark Jacobs. Here, he tries to present some of the more interesting responses to thsi now confirmed story. MMORPG.com's new Warhammer Online Correspondent Charles Kinkel writes this article bringing up the debate and the emrits of small group RvR combat in Mythic's Warhammer Online: Age of Reckoning. MMORPG.com Warhammer online Correspondent Asaf Younsian writes this quick opinion piece throwing in his two cents about the population imbalances in Mythic Entertainment's Warhammer Online: Age of Reckoning. You've seen the talking heads on CNN, BBC or Fox News, commenting on a speech or a debate. Today, with the release of the first Warhammer Online State of the Game from Mythic Entertainment's Mark Jacobs, MMORPG.com Managing Editor Jon Wood gives his running commentary along with the letter. MMORPG.com Warhammer Online Correspondent Todd Lundberg writes this short introduction to the Greenskin starter zone in Mythic's Warhammer Online. MMORPG.com Warhammer Online Correspondent Asaf Yonsian writes this interesting piece about Mythic's use of the Warhammer IP in an MMO compared to both Turbine and Funcom's handling of their IPs. Correspondent: So You've Decided to Play a Goblin Shaman? MMORPG.com Warhammer Online Correspondent David Beamer writes this introductory article for WAR players who choose to start life as a Goblin Shaman. MMORPG.com Warhammer Online Correspondent Todd Lundberg writes this articles giving his opinions on the concept of public quests in Mythic Entertainment's Warhammer Online. MMORPG.com Warhammer Onine Corresponsent Lou Rossi writes this guide to playing Destruction's Chosen class in Mythic Entertainment's Warhammer Online: Age of Reckoning. MMORPG.com Warhammer Online Correspondent writes this article giving an overview of the three different Tier 1 scenarios available in Mythic Entertainment's Warhammer Online. Correspondent - Bringing Back "Guild Life"
Warhammer Online Correspondent Bao Huynh writes this article about the importance of guilds in MMOs and why he believes that WAR will return them to their former glory. MMORPG.com Warhammer Online Correspondent Tom Giblin pens this look at the lore behind the armies that will appear in Mythic Entertainment's Warhammer Online: Age of Reckoning. MMORPG.com Warhammer Online Correspondent Tom Giblin pens his debut article on the recent Mythic Entertainment announcement that four classes and four capital cities had been cut from the game. While in attendance at E3, MMORPG.com Writer Carolyn Koh made an extended stop at the Mythic Entertainment's booth for a progress update and some hands on play time with Warhammer: Online Age of Reckoning. The folks at EA Mythic have released the latest newsletter features. Today, we present this Zone Overview focusing on Caledor. In our continuing coverage of EA Mythic's Warhammer Online: Age of Reckoning, MMORPG.com Managing Editor Jon Wood pens this article on the capital cities in the game. Today, the team at EA Mythic has released details on the collector's edition for their upcoming MMORPG, Warhammer Online: Age of Reckoning. The collector's edition, with all of its bells and whistles will retail for $79.99 (suggest retail price). The folks from EA Mythic have provided us with this overview of the zone Saphery for the upcoming MMORPG Warhammer Online. The overview originally appeared in the February newsletter. News Manager Keith Cross recently had the opportunity to speak with Adam Gershowitz, Associate Art Director on Warhammer Online about Shadow Warriors, elite warriors of the High Elves who walk the line between dark and light in their quest for vengeance against the enemies of Elfkind. Following on yesterday's information from the WAR December Newsletter, today we present this Zone Overview focusing on the Elven land of Ellyrion. Back in December, EA Mythic published images and a description of the Disciples of Khaine in the Warhammer Online: Age of Reckoning monthly newsletter. Today, they have provided us with the assets. In December's official newsletter, the folks at EA Mythic published new information on the Dark Elf Sorceress class for Warhammer Online. Today, they have provided us with the assets. Each month, the Warhammer team over at EA Mythic prepares a Zone Overview for the monthly WAR newsletter. November's Zone Overview takes a look at the Shadowlands, a land ravaged during the first war between the High Elves and the Dark Elves. The folks at EA Mythic's Warhammer Online: Age of Reckoning, have provided us with this Career profile of the Dark Elf, Witch Elf. In last month's newsletter, the devs at Warhammer Online: Age of Reckoning released info on the High Elf Swordmaster. In this month's Warhammer newsletter, the folks over at EA Mythic wrote two zone overviews, one for the Blighted Isles, and one for Chrace. Today, they have released them to us for your viewing pleasure. It's that time again! The folks over at EA Mythic's Warhammer Online: Age of Reckoning have released new assets ans articles relating to their upcoming game. In this City Overview, the team tells us about Altdorf, the seat of the Empire's Emperor. It's that time again! The folks over at EA Mythic's Warhammer Online: Age of Reckoning have released new assets ans articles relating to their upcoming game. In this career profile, we get some information about the deadly Chaos Marauder. It's that time again! The folks over at EA Mythic's Warhammer Online: Age of Reckoning have released new assets ans articles relating to their upcoming game. In this Zone overview, the team introduces us to Reikland, "The wealthiest and most cosmopolitan of all the Empire's Great Provinces". It's that time again! The folks over at EA Mythic's Warhammer Online: Age of Reckoning have released new assets ans articles relating to their upcoming game. In this article, Ea Mythic teases us with info about the High Elves and the Dark Elves. To the north and east of the Empire lies the wintry realm of Kislev. A land of barren steppes and arid tundra, Kislev is bordered by the Sea of Claws to the west, Troll Country to the north and the Worlds Edge Mountains to the north-east and east. The people of Kislev are a hardy race, well used to getting by with scarce resources and grappling with the many fearsome beasts that make their home in this cold and rugged land. All players begin WAR as part of an army, but they are not your everyday, rank-and-file grunts. No, each player is part of an elite fighting force that will play a significant role in their race's ongoing war efforts. This past weekend. MMORPG.com's Joe Iuliani and Anthony Love attended the Games Workshop Games Day in Baltimore, MD. In this column, Joe gives his impressions of the game. Yesterday, Garrett Fuller attended a telephone press conference with EA Mythic about their upcoming MMORPG, Warhammer Online: Age of Reckoning. On a recent trip to the EA Mythic studios in Fairfax, VA. MMORPG.com Managing Editor Jon Wood spoke with Paul Barnett and Josh Drescher about the state of the game since our last report, beta and building a living world. Reports have surfaced about another, more extreme round of layoffs at Warhammer Online studio Mythic Entertainment. This article reveals the nature of those reports, response from Mythic and some commentary from MMORPG.com Managing Editor Jon Wood. In part two of his interview with Mythic Entertainment VP and General Manager Mark Jacobs, MMORPG.com Managing Editor Jon Wood reports that the game will be implementing Punkbuster and cutting four capitol cities and four careers from the launch features of the game. Mark Jacobs Interview Part One - What's in a Name? On Wednesday, MMORPG.com Managing Editor Jon Wood spoke with EA Mythic VP and General Manager Mark Jacobs about four different announcements from the studio.  Part One announces a name change for the company from EA mythic back to Mythic Entertainment. Tomorrow's part two will reveal three more announcements concerning Warhammer Online. Our last two E3 audio interviews run. The month of December has come and gone, taking 2010 with it. Some say good riddance, some look back fondly, but no matter how you slice it, that puppy’s behind us and we’re all moving forward to 2011. For the team here at MMORPG.com, we’ve just got one tiny loose thread to tie up before we officially start the new year: We have to announce the winners of the 2010 MMORPG.com Reader’s Choice Awards! Today we feature the 2010 Game of the Year. In today's round of voting in the 2010 Reader's Choice awards here at MMORPG.com, we invite you to check out this year's biggest new stories and select the one that you believe created the most stir in 2010. MMORPG.com is pleased to announce the winner of the 2008 Reader's Choice Award for Best New Game of 2008. MMORPG.com is pleased to announce the winner of the 2008 Reader's Choice Award for Most Innovative Feature of 2008. Bioware Mythic Executive Producer, Jeff Hickman, is MMORPG.com's man on the floor at the 2010 Gencon in Indianapolis, Indiana. Jeff is keeping tabs on all that's happening at the annual convention and we've got his first blog report. Check it out and find out what's happening at GenCon! Being October 31st, how could MMORPG.com Managing Editor Bill Murphy pass up the opportunity to write about Halloween? In The List today, Bill takes a look at some of his favorite Halloween moments. Check it out and then add some of your favorites in the comments. In his latest "From the Warp" column, MMORPG.com Industry Relations Manager Garrett Fuller takes a look at the past month and the news coming out about all things Warhammer. Garrett's got a few thoughts about the new Space Marine demo, Warhammer: Wrath of Heroes and even some news about your local game shop. Check it out! In today's Player Perspectives column, readers get a rare inside look at the MMOs that have shaped those perspectives for MMORPG.com columnist Isabelle Parsley. They've winked and snuggled and finally drawn her into their ever-lovin' arms. Read on to see which MMOs have captured Iz's attention and heart over the years and then let us know what you think! MMORPG.com Quiz Master Drew Wood is back again this week with another test of your grey matter. Continuing to focus all questions on a single game, this week Warhammer Online is the subject. See how well you do on Drew's quiz and then report back with your results. Depending on your opinion, closed grouping in MMOs is either the best or worst feature in many games. In today's Player Perspectives, MMORPG.com columnist Isabelle Parsley has a few thoughts to share about open grouping and the (in)famous closed grouping in today's MMOs. Check it out and then offer a few comments of your own. MMORPG.com's Bill Murphy has a few ideas for the games he believes might go free to play in The List this week. Some of the games may surprise you to find on The List, others not so much. Either way, the trend for so-called premium games going free to play is now established with DDO, LOTRO, EQ II and PotBS all going that route in the last several months. See if you agree with Bill's assessment of which games might (or should) go free to play. Let us know what you think! In his latest Fighting Talk column, MMORPG.com's Adam Tingle pits Dark Age of Camelot against Warhammer Online: Age of Reckoning. As Adam says, this week's column is new versus old, elderly versus snot-nosed. 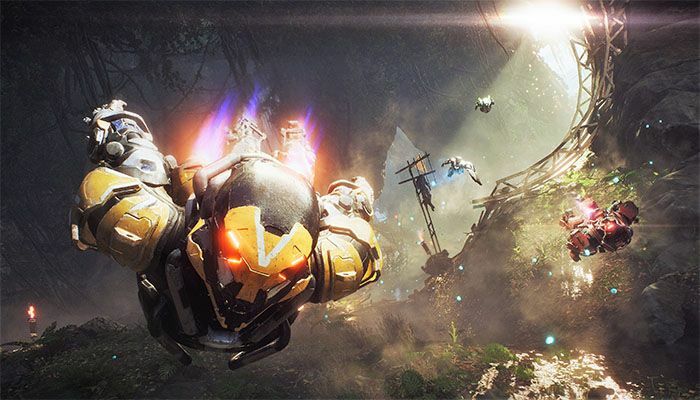 Which one of Bioware-Mythic's games will come out on top? Read on to find out! Let's get ready to RUUUUUUUUMBLE! Angela Webb has an inside look at Quality Assurance for Warhammer Online. As she says, "It's a lot of fun, but don't get confused, it's a lot of work." Find out everything you ever wanted to know about the heroes behind the scenes in this terrific inside look. In this week's list, Jon Wood looks at the idea that a successful Warcraft movie could set off a rash of MMO-based films and gives his ideas on five that could be likely candidates. This month's WAR Beta Journal comes courtesy of the Beta Forums and describes a newly discovered love for Dwarfs and a first-time foray into the Marshes of Madness. MMORPG.com Warhammer Online Correspondent Michael Dennis takes the time to take a look at the various defensive statistics available to characters in Mythic's RvR game. MMORPG.com Warhammer Online Correspondent Michael Dennis writes this article giving us a little bit of insight into the Guild system in Mythic's RvR MMO, specifically Guild Ranks 6-10. MMORPG.com Warhammer Online Correspondent Michael Dennis writes this article giving us a little bit of insight into the Guild system in Mythic's RvR MMO, specifically Guild Ranks 1-5. MMORPG.com Warhammer Online Correspondent Andrew Bobb writes this look at the tier one scenarios in Mythic's Warhamme Online, providing a few different strategy approaches to the games. MMORPG.com Warhammer Online Correspondent Michael Dennis writes this basic look at Guilds in Mythic's RvR game. MMORPG.com Warhammer Online Correspondent Andrew Bobb writes this guide to combat for the first ten levels of the Magus career in Mythic's RvR game. MMORPG.com Warhammer Online Correspondent Andrew Bobb writes us this overview of the Teir 2 abilities obtained by the Sorceress in the RvR game with a special focus on their uses in PvP. MMORPG.com Warhammer Online Correspondent Andrew Bobb writes this look at RvR in Tier Two for the popular Dark Elf Witch Elf career in Mythic's RVR-centric game. WAR is about teamwork. A well balanced, well led team can spill the blood of a disorganized mob many times their size. Recognizing this truth about RvR combat, the folks at Mythic have written a guide to help initiate players into the fundamentals of working together to crush common foes. MMORPG.com Warhammer Online Correspondent Andrew Bobb writes these tips for Dark Elf Sorceress players in Tier One RvR. MMORPG.com Warhammer Online Correspondent Andrew Bobb writes this guide to getting the most out of your Witch Elf in Tier One scenarios. MMORPG.com Warhammer Online guru John Lisenby writes this guide to the early quests for the Chaos race in Mythic's RvR game. The guide gives information on quests, givers, rewards, locations and more. MMORPG.com Warhammer Online guru John Lisenby writes this guide to the early quests for the Dark Elf race in Mythic's RvR game. The guide gives information on quests, givers, rewards, locations and more. MMORPG.com Warhammer Online Correspondent John Lisenby writes this guide for players in the Greenskin starting area, going over available quests and more. MMORPG.com Warhammer Online Correspondent Patrick Buckley writes this guide to the early stages of the gathering professions in Mythic's Warhammer Online: Age of Reckoning. MMORPG.com Warhammer Online Correspondent Jessica Maxson writes this basic guide to get Dark Elf players from Level One to Level Five in Mythic Entertainment's most recent RvR title. MMORPG.com Warhammer Online Correspondent John Lisenby writes this excellent guide to playing a Squig Herder in Mythic Entertainment's latest creation. In the guide, John talks about advancing your herder and even provides a full list of abilities. MMORPG.com Warhammer Online Correspondent Kyle Stout writes this quick guide to help players to survive their first forray into WAR's RvR scenarios. MMORPG.com Warhammer Online Correspondent Jessica Maxson takes us through the first five levels of PvE gameplay in Mythic Entertainment's Warhammer Online. Warhammer Online Correspondent John Lisenby Writes this guide that introduces the early mechanics of the game to new players who might ot be too familair with them. MMORPG.com Warhammer Online Correspondent Michael Dennis writes this look at the various statistics in Mythic's Warhammer Online. MMORPG.com Managing Editor Jon Wood reports on three of the most visible features of yesterday's Update 1.2 for Mythic's Warhammer Online, the new map features, the grouping tool and the rally call system. MMORPG.com Managing Editor Jon Wood gets behind the zone control feature in Mythic's Warhammer Online both in its current state and in terms of what's to come through an interview with two of the game's dervelopers. MMORPG.com WAR correspondent Joshua Peters writes this very basic overiveiw of crafting and gathering in Mythic's Warhammer Online. MMORPG.com Warhammer Online Correspondent Pat Buckley writes this overview of the new Black Guard class recently introduced into the game and provides some helpful tips for playing the class. MMORPG.com Warhammer Online Correspondent John Lisenby writes this overview of the Wtich Elf class, complete with a list of skills attainable by that class. MMORPG.com Warhammer Online Correspondent Louis Rossi writes this overview of the Shadow Warrior Career in Mythic Entertainment's newest RvR game. In the overview, Rossi looks at the effectiveness of a number of the career's damaging abilities. MMORPG.com Warhammer Online Correspondent Patrick Buckley writes this overview of the Dwarf Engineer career in Mythic Entertainment's Warhammer Online: Age of Reckoning. MMORPG.com Warhammer Online Correspondent Joshua Peters writes this article giving his expreiences playing a Dwarf Engineer in Mythic`s WAR.